Intro: This is the time of the year that people look in things. You know who you are. There are secret packages everywhere. There are Children looking in closets, under beds, in cars, every possible place to find a present. People look in store windows, in store adds, just about every place you can imagine. Have you thought though that we have forgotten on place that we should take a closer look? This season of advent, the first coming of the Christ child do we forget to look in the manger? More than merely looking in the manger have we become so familiar with it that we don’t look close enough? That is what I would like to do with you today. I want us to take a closer look in the manger and see what is there. 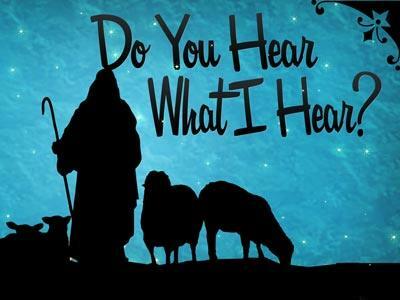 This is the same thing the Shepherds did as recorded in Luke 2.15. 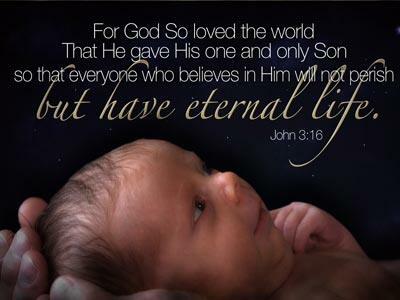 They were told of the Christ child by the angels and their response was let us go see this thing that God has told us. We find three wonderful truths in the manger. We find life, we find liberty, we find love. The circumstances and setting were all too normal. Bethlehem. This was the original city of David. The name of this city literally means house of bread. How wonderful that Emmanuel, God with us, was born in this town that was prophesied. Micah 5.2 tells us that this child is not just now coming to be. His origins are origins are from old, from ancient times. This is no normal child; this is God in the flesh. Something miraculous has happened. God has stepped into History. Jesus Christ is God in the Flesh. Heaven’s son become earth’s savior. What is the most astounding thing about His birth? Is it that he was born of a virgin, they he was laid in a manger, or the terrible taxation that led them to Bethlehem from Nazareth? It is that so many people missed this earth-shaking event. They were pardon the pun all wrapped up in things that had no eternal consequence. It is all to easy to miss the extraordinary if we are wrapped up in the ordinary. Don’t let the superficial traditions of Christmas cause you to miss the supernatural life of Jesus. Jesus did come to a castle he came to a humble cave for the animals. He did not come with pomp and circumstance. Instead he came as a lowly servant. Matthew 20.28 records the request of a mother. The mother of James and John asked for her boys to be given a place at the right hand of Jesus. His answer to her was I came to serve not to be served. He came to be the lamb this time. John 1.19 John cries out the lamb that takes away the sins of the world. Today the lamb does not hold near the meaning it did to people in Jesus’ time. The Pascal lamb was sacrificed to protect the people of Israel from the last plague God put on the Egyptians. The angel of death came and the blood of a spotless lamb was put on the door-post and lintel. When the angel saw the blood he passed by. When Jesus breathed his last on the cross it was at the same moment that the Passover lambs were being sacrificed in the temple. Why was Jesus’ birth supernatural, of a virgin conceived of the Holy Spirit? So that he could be the spotless lamb. No virgin birth, no sinless sacrifice, no sinless sacrifice no atonement for sin, no atonement for sin no possibility of forgiveness of sin debt, no forgiveness no hope of heaven. No hope of heaven when you die your only choice is hell. Jesus came as the lamb. The Jews were expecting a king to come and take control from the Romans. In his first advent Jesus came as the lamb, a sacrificial life, in His second advent Jesus will come as the Lion of the tribe of Judah, as sovereign. He came as the Son of God, God the Son, and sacrificed so that we might be made free.